Some of you may of may not be aware of the project I have been working on for the past 18 months. A real labour of love and its birthing is just about due – 31st August, in fact. As faithful readers (subscribers) of my blog and newsletter, rest assured you will be the first to know. 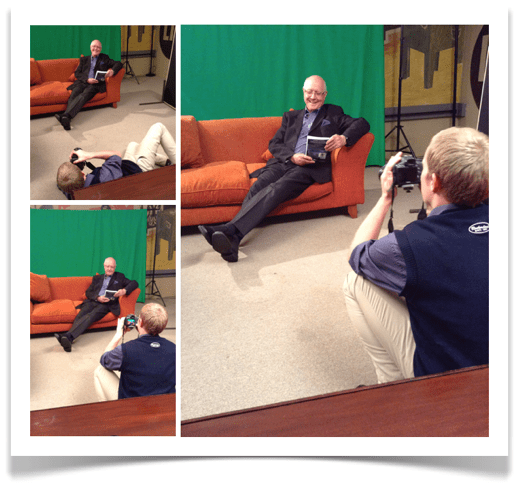 In preparation, I thought I would share this moment in front of the cameras…a rather shy and uncomfortable, and very unusual situation for a pastor and theologian to find himself! Still I feel incredibly blessed and privileged to be serving Jesus in this way. I look forward to revealing all soon! If you haven’t already subscribed to my blog and newsletter, go ahead and subscribe to be sure that you don’t miss a beat! To subscribe to Truth is The Word, click here. Congratulations on the book launch! I hope it achieves everything you want it to! Tracey and I were reading Matthew 25 and it is interesting how based on works the 3 parables seem to be and how strict the penalty is for each. Reading them it does seem like a case can be made that Christians needs to take their talents and the poor very seriously because if they don’t then a hot future awaits. Perhaps you can discuss this? Last night Tracey and I finished reading Matthew (it ends happily) and tonight we will start to read Truth is the Word together. Hi @Lance – sorry for the slow response. In Matthew 25 the author continues Jesus’ teaching started in chapter 24 concerning His return at the end of the age. In MTT 24:42 the message is “Therefore keep watch, because you do not know on what day your Lord will come”. In MTT 25:13 the same message is repeated; “Therefore keep watch, because you do not know the day or the hour.” However, in the parable of the ten virgins, which this verse concludes, Jesus gives additional information – be ready; be prepared. The next parable deals with an aspect of what it means to be prepared – be faithfully productive with what Jesus has entrusted to you. The final part of MTT 25 is not so much a parable as it is a development of the ‘day of the Lord’ judgement found in the Old Testament. However, here Jesus gives an expanded and unconventional twist. Firstly, the Jews of His day understood the judgement of God as applying only to Gentile nations and not to Israel, but Jesus expands this to include ALL people groups. Secondly, He positions himself as the judge and thereby identifies himself as God. Scholarly interpretation of MTT 15:31-46 differs – some see Jesus referring to kind deeds to anyone as the criteria for eternal life. This of course is both humanistic and liberal and it contradicts Jesus’ own stated criteria for eternal life in JN 3:16 11:25 14:6 and other places. A better understanding therefore is that in MTT 25 Jesus is alluding to his ‘brothers’ as those who represent him (the church); therefore rejection of them amounts to rejecting him (i.e. to reject the ‘body’ is to reject the ‘head’). To sum up, MTT 25 teaches that Jesus is coming again; that we need to be ready; that to be ready means that we need to be in active and faithful relationship with him because the criteria for eternal life or death is indeed this living, productive and grace-filled relationship with him.